Cancer is one of the most serious and sometimes fatal diseases that can happen to a person. There are over 200 different types of cancer that can occur within the human body and dependant on the type of cancer, there are numerous treatment options available. Patients who have decided to go abroad for any type of cancer treatment often have more considerations to deal with than most other types of treatment abroad. One major consideration of travelling abroad for this type of treatment may be the difficulty in obtaining travel insurance. Certain cancer treatments will have an effect on the body that will make travelling a problem including short-term conditions such as sickness, diarrhoea, or sun sensitivity. There may also be long-term problems such as a weakened immune system or swelling to the limbs. The length of travel may also be hindered by tiredness during and after treatment, and this should be taken into consideration when choosing your country for treatment. You should consult your own doctor and enquire about travel complications for your particular type of cancer. One of the reasons patients do go abroad for cancer treatment is the lack of private cancer clinics available in the UK. Many countries abroad have state of the art facilities for treating cancer and the cost of treatment will be lower than the UK. When choosing a country, the best option may well be to opt for a country in Europe. Countries such as Germany, France, Spain and Eastern Europe have specialised cancer clinics and the flights are both short and frequent; a major consideration if return visits are required. If you are choosing a country such as India or South Africa, the facilities and qualifications of the surgeons will still be first class but the flying time will be longer, and flight costs will be more expensive. For such a serious condition as cancer, research beforehand on your intended country and clinic of choice is vital. A medical service provider will have specialised clinics in different countries that cater to your particular type of cancer. Reputable providers can be found on the internet, or your own doctor help you with information. You should ask your provider as many questions as you need in order to allay any fears you have regarding your particular treatment and clinic. With a reputable provider you should also have no problems in communicating with staff and surgeons from the clinic you are intending to use. All accommodation, flights, transportation to and from the clinic or hospital, and surgery costs will be included in the total price. Treatments for cancer will depend on the type and severity of the cancer. Common treatments will include surgery, radiotherapy and chemotherapy; there are also hormonal and medicinal treatments that can be used. Each treatment will have its own effect on the body, although chemotherapy is the one that will have the most detrimental effect to your ability to travel. Cancer treatments are evolving on a continual basis, and the technology used is advancing at a rapid speed. Clinics abroad do have state of the art technology for the treatment of cancer, and doctors in the UK have stated that the facilities in these private clinics are often better than those in the UK. Doctors still do not know the actual cause of cancer, although choosing a healthier lifestyle is thought to cut down the risks of some types of cancer. 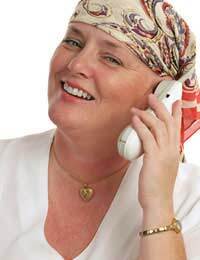 The main intention of cancer treatments is to either eradicate the cancer or control it, in order to give a better standard of life to the sufferer. These are only a few of the cancer treatments available; your medical service provider will be able to advise you on the best countries and the specialised treatments they offer. Many consultations will be needed before cancer treatment can begin, and any pre tests and medical records from the UK can be sent to the clinic abroad before arrival. The success rates for cancer treatment will depend on the early detection and the advancement of the cancer.